Shane van Gisbergen claimed his first ARMOR ALL Pole of 2019 at the Tyrepower Tasmania SuperSprint, in another troubled session for Red Bull Holden Racing Team stablemate Jamie Whincup. Van Gisbergen set the pace in the third and final phase of knockout ARMOR ALL Qualifying at Symmons Plains, with a 50.6395s lap. 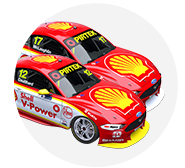 That was good enough to deny Fabian Coulthard by 0.0653 seconds, while David Reynolds was third and championship leader Scott McLaughlin fifth. 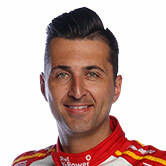 Whincup will start outside the top 10 again, in 13th, after being knocked out in Q2. Light rain fell between Practice 4 and the session, but the track surface was largely dry when Q1 started. 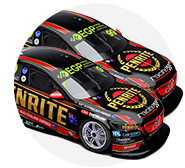 Reynolds led the way after the first runs in the final 10-minute stanza on a 50.7391s in his Penrite Racing Holden. 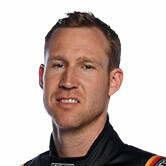 That stood into the final 30 seconds, when Coulthard and then van Gisbergen lowered the benchmark. 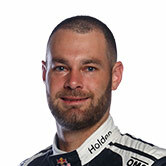 Van Gisbergen's 50.6395s was good enough for his 26th career pole and first of 2019 for the Kiwi and Triple Eight. 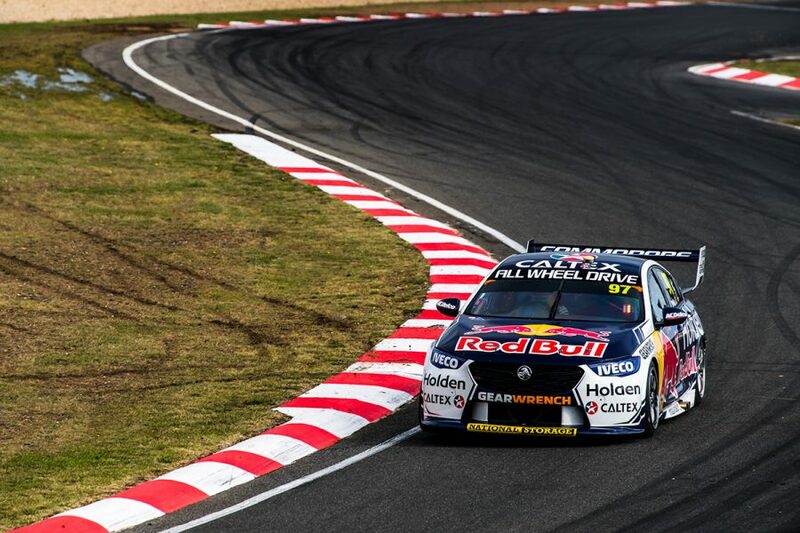 "Awesome session, really close as it always is here," van Gisbergen said. "Thanks to the team and all our guys, it’s awesome to up front. Hopefully I can get off the line today and we can have a good race." Coulthard, who was the fastest driver in Q2, took second from Reynolds, the former having benefited from a tow from team-mate McLaughlin on his hot lap. "Thanks to the #17 guys, that’s what team work is all about," Coulthard said. "We just got pipped at the post, but that’s what it’s like around here, you have to look at the top 10, or the whole field, the spread isn’t very much." Mark Winterbottom followed his Saturday pole with fourth, while McLaughlin was a relatively subdued fifth, two tenths off van Gisbergen. Anton De Pasquale, Richie Stanaway, Cameron Waters, James Courtney and Chaz Mostert rounded out the top 10. Seventh equals Boost Mobile Racing recruit Stanaway's career-best qualifying result, coming the long way from Q1. De Pasquale and Mostert also made it all the way from Q1, despite being caught up in a bizarre Turn 4 incident and two offs respectively in the opening phase. Mostert's final effort in Q3, though, ended in the Turn 4 gravel after passing van Gisbergen on a cooldown lap. 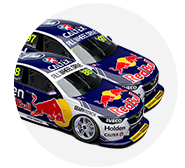 When shown vision of the incident post-session, van Gisbergen dismissed the notion he'd played a role: “There’s more than enough room on the right. Yeah, that’s fine. Rick Kelly missed a spot in Q3 by just 0.0188s and will start 11th from Tim Slade, Whincup, Q1 pacesetter Lee Holdsworth and Scott Pye. Q1 was red-flagged after three minutes when Macauley Jones spun at Turn 4. The CoolDrive Commodore was collected by the following Kelly Racing Nissan of Andre Heimgartner, who then copped a hit from team-mate Garry Jacobson. De Pasquale, Nick Percat, Will Davison and James Golding also ended up in the escape road taking evasive action. Percat will start 16th narrowly missing a Q2 berth, while Davison ended up 24th after a later mistake at the final corner. Jones took no further part in the session and will start 25th. "I just had a lot of rear-locking down there on the first flying lap. Andre had nowhere to go and I was parked there," he said. "It’s very disappointing, very frustrating, hopefully we can get it out for the race later. "It looks like it’s just done the front-rail and oil cooler." 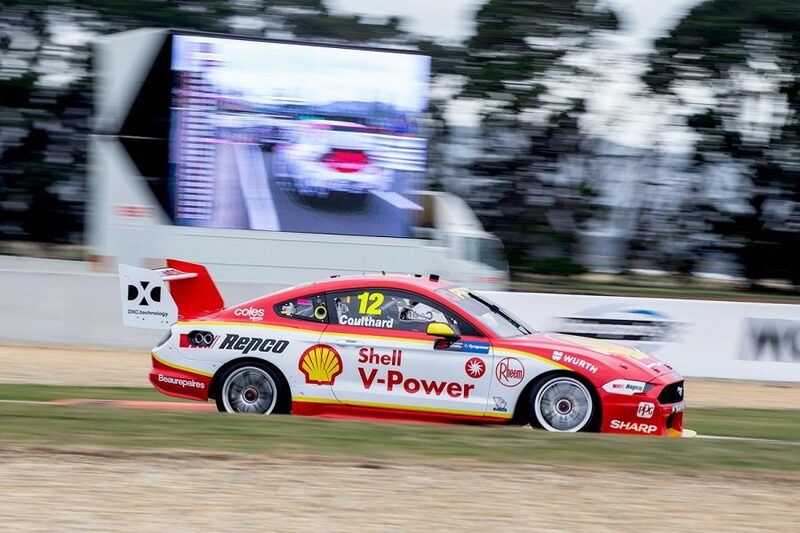 Sunday's 84-lap race, the eighth of the 2019 Virgin Australia Supercars Championship, starts at 2:05pm.